The secret of the inhabitant of the bottom of these spooky waters has been revealed. A strange green glow in the waters of the Bermuda Triangle reopened a mystery of which little was known. At the bottom of the Atlantic Ocean, a strange green creature was found that, according to experts, could be the product of a unique set of genes that do not possess the rest of the creatures that inhabit the Earth. After a long study, the results of knowing what the green glow was, were published in the journal PLoS One. The sighting of the creature is usually common in summer and autumn, just after the third night after the full moon. The experts discovered that the glow is caused by a species of worms that inhabit the waters of the Atlantic, near Bermuda and generate a kind of phenomenon in their body to be able to light up. This happens when the females of this species of worms, perform a dance quite complex to attract the attention of the males, in which they shine to be able to achieve commitment, according to Mercer Brugler, author of the investigation in statements for the Cosmos magazine. 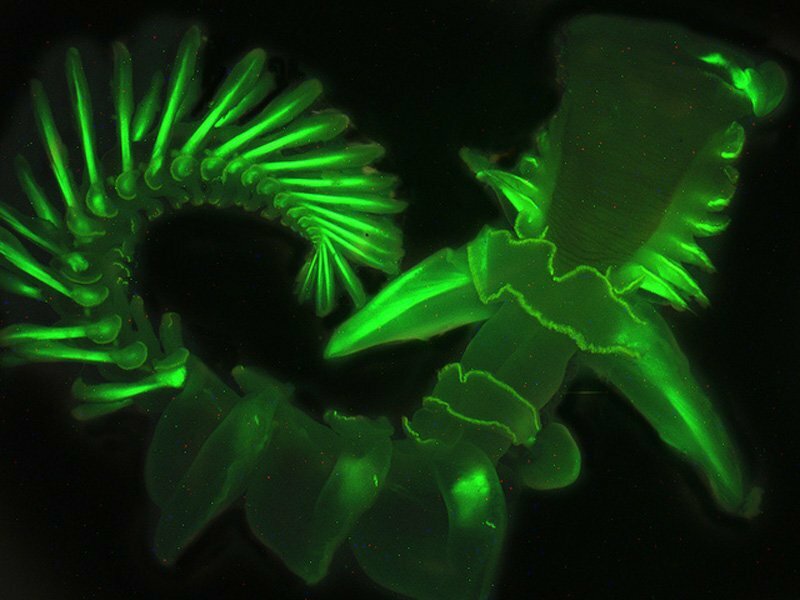 Although there are many nocturnal animals and others, which have the ability to shine, these worms do it for a specific gene, it is a strange case for the depths of the Atlantic. Scientifically they are known as Odontosyllis enopla and scientists are studying the structure of their DNA and RNA, although their existence draws attention, its glow was a mystery that lasted almost five centuries. According to historical data, Christopher Columbus would have been the first to see it when he was sailing towards the coasts of the New World in the distant 1492.